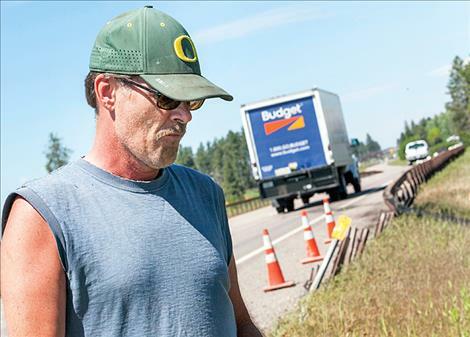 Gary Dullinger stands close to the site on US 93 where his son died two years ago. 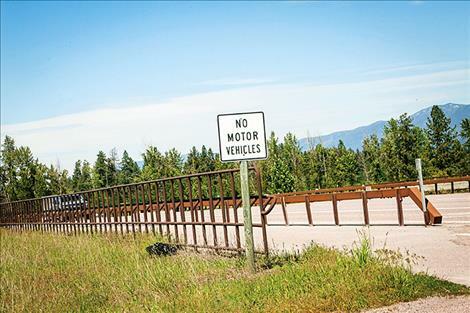 A guardrail located between the bicycle path and US 93 on the west side of the highway obscures drivers’ views of southbound traffic. The photo was taken from a driver’s side window of a sedan. 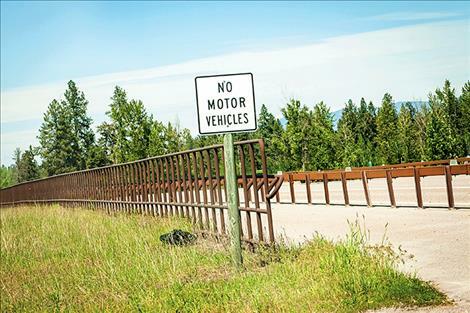 PABLO – The intersection of Old US Highway 93 and US Highway 93 south of Pablo may be headed for some revamping, a Montana Department of Transportation official said last week. 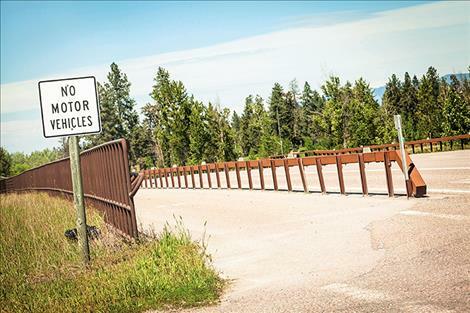 The intersection, which is located just south of a bridge over Mud Creek, is slated for improvements by June of 2020, according to Patricia Burke, safety engineer with MDOT in Helena. The intersection was nominated for improvement by MDOT staff and the Confederated Salish and Kootenai Tribes, she said. Improvements include removal of some guardrail and slope flattening. The project, which received a preliminary estimate of $150,000, would be funded through the Highway Safety Improvement Fund. Data from 2014-16 show two fatalities and one injury accident at the site, plus a rear-end crash on May 4 that resulted in unknown injuries, Burke said. 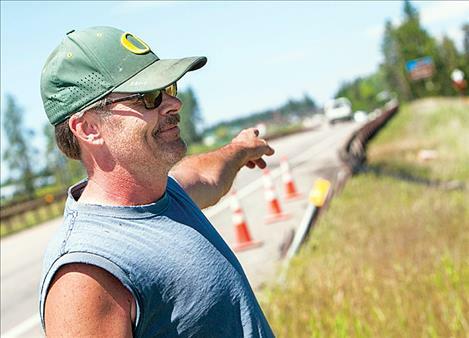 Area resident Gary Dullinger, 55, lost his 25-year-old son, Andre Dullinger, at the site on Sept. 23, 2014. Andre was headed northbound on US 93 and rear-ended a fully-loaded potato truck that had turned right in front of him off Old US 93, Gary said. A car was on the left-hand side of him when Andre was headed northbound, so there was nowhere for his son to go, Gary said. 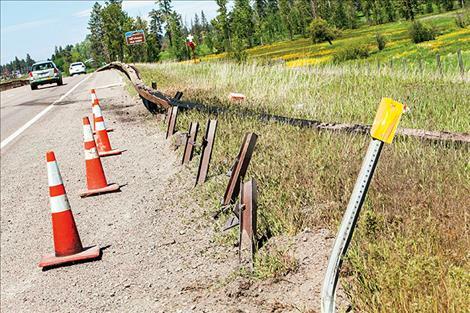 Another young girl died as a result of a crash at the site a year or so ago, Gary said, and a recent accident apparently damaged the guardrail on the east side of the road north of Old US 93. Orange cones could be spotted at the site last week. Dullinger would like for MDOT to make it illegal for large trucks to use the Old US 93 to access US 93, instead preferring they use Mud Creek Road farther south. 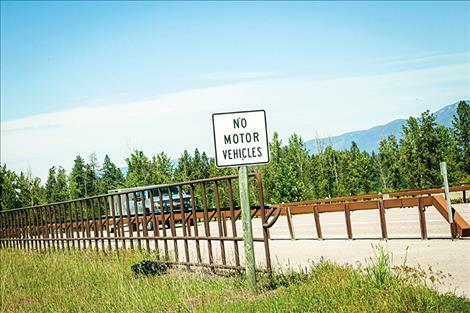 When a driver is headed east on Old US 93 on the west side of US 93, he or she has to pull out into the bicycle lane to see oncoming traffic from the north because of a guardrail located between the bicycle path and US 93. Dullinger, who has watched his 5-year-old grandson, Andre Jr., four days a week since losing his son, said it helps knowing improvements are coming to the intersection.